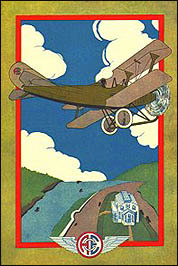 The "Ace" is historic in that it was the first American civil aircraft to be produced following World War One. First built at the end of 1918, along the lines of a World War One fighter, the "Ace" was partially built in New York City with all finishing, final assembly and flight test at Central Park (Bethpage) Flying Field. Its engine was built in Queens. Apparently the aircraft performed well for its day, it was fully aerobatic and sold for $2500. A total of seven "Aces" were built, with this aircraft being the sole surviving example. 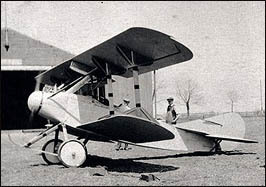 If the "Ace" had not been faced with the competition of the large numbers of surplus World War One Jennies available, it may have seen widespread use as a low horsepower light aircraft. Engine: 40 hp Keane "Acemotor"